Living a happy, resilient and optimistic life is wonderful and is also good for your health. Being happy actually protects you from the stresses of life. Stress is linked to top causes of death such as heart disease, cancer and stroke. Express your feelings, affections, friendship and passion to people around you. They will most likely reciprocate your actions. Try not to keep pent up anger of frustrations, this is bad for your health. Instead, find ways of expressing them in a way that will not cause more injury or hurt to anyone. 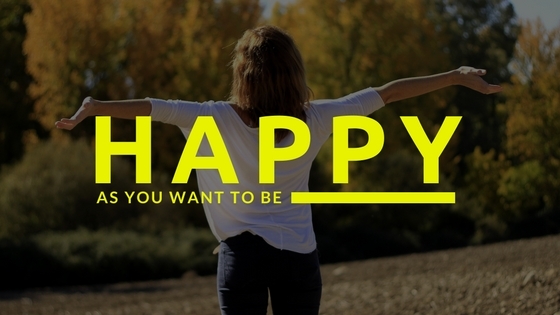 We hope guys you find our article "Happy as You Want to Be" by Mr Great Inspiration useful. If you think we have made some efforts, then don't forgot to appreciate us by sharing this inspirational article with your friends and family, And thanks for visiting.